Although full house relocation is the most common type of household moves, sometimes you will need professional movers’ assistance to move small loads. Renting a moving truck in order to move a couple of suitcases and a few appliances or pieces of furniture is just reckless. Also, lifting heavy items and moving them on your own can be really daunting as well as dangerous. Luckily, there are small load movers, known as small scale movers who can help you out with your mini move. Even if you don’t have huge volume of items, you may want to consider hiring professional movers for your long-distance move. Whether you are moving one single piano or couple of boxes, you will need a suitable vehicle, appropriate moving supplies and strong (if not) experienced helpers. 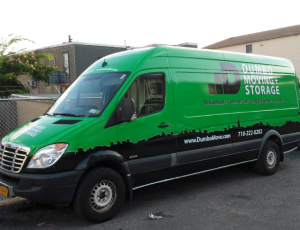 Whether you are moving within NYC or to another state, most of the NYC moving companies offer small moving services. But, no matter how small your load is, you should always ask for a moving quote and make sure your belongings end up in good hands. Depending on the type of service you need, you can have your items both packed and safely transported to the final destination. Regardless of the amount of belongings you need to move, you should pay attention when choosing the moving company. – Research local small scale movers and get several quotes. The costs may significantly vary, so make sure to find the best possible option. – Conduct thorough background check so as to be able to distinguish reputable NYC movers from the rogue ones. – Refrain from moving everything you own and remember to have your belonging insured during the move, especially the valuable ones. Professional household movers who charge by weight may also require a minimum weight for shipping your belongings. Therefore, even if your belongings weigh much less, you will be charged a minimum fee in order to have your belongings transported. Overpaying is not something you have planned for when you were organizing your move. If your shipment doesn’t meet those minimum weight requirements and it takes less than a full truckload of space, it’s time for you to look for more appropriate and affordable options. Also, when you eventually choose suitable small scale movers, make sure you understand the bill of lading and all its terms and conditions. Luckily, partial load movers can safely accommodate and transport even the smallest load at a good price. You can rest assured that you won’t be paying additionally for an unused space, but only for the items that will be moved. However, beware of additional taxes and fees you may incur. Small scale movers may charge you extra for an express delivery, special packing supplies or storing your belongings temporarily. Taking those additional costs into account, at the end of the day it turns out that your small load move won’t be as cheap as you expected. Cost-effective small scale moving service comes at a price – a delayed delivery. In order to fill up the truck, movers are likely to combine yours with other people’s belongings, which may take some time. In that case you will have to wait until your goods are delivered to the final destination, which is not necessarily a drawback, if you are flexible about the delivery date.